I can always count on Charles to capture our surroundings on film. A few weeks ago we had a series of thunderstorms pass through. 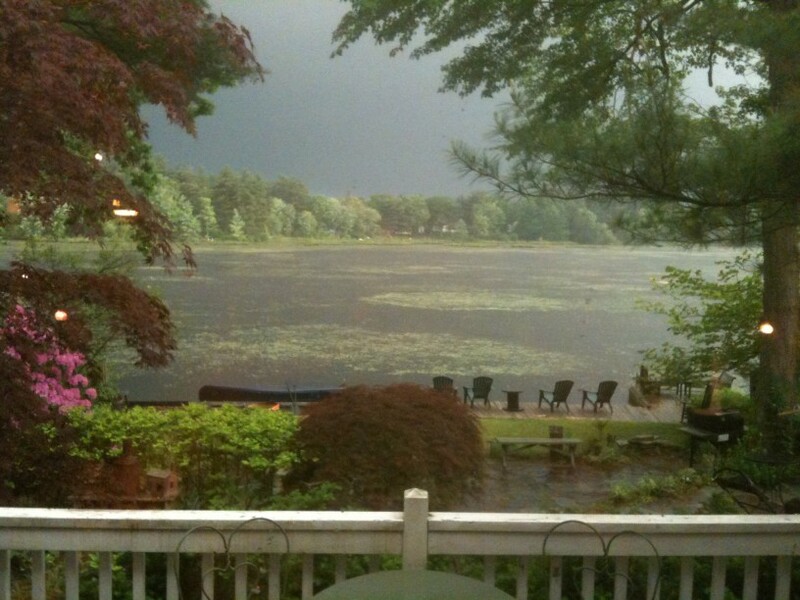 After the storms subsided we looked out the back window to see the air was filled with an eerie greenish hue. The lily pads seemed to glow. Charles was able to catch it on his iPhone before it passed. The seasons and the weather are constantly changing on the pond. That is one of the reasons we love being here.